Roberta Warshaw Art and Design: Rocks! 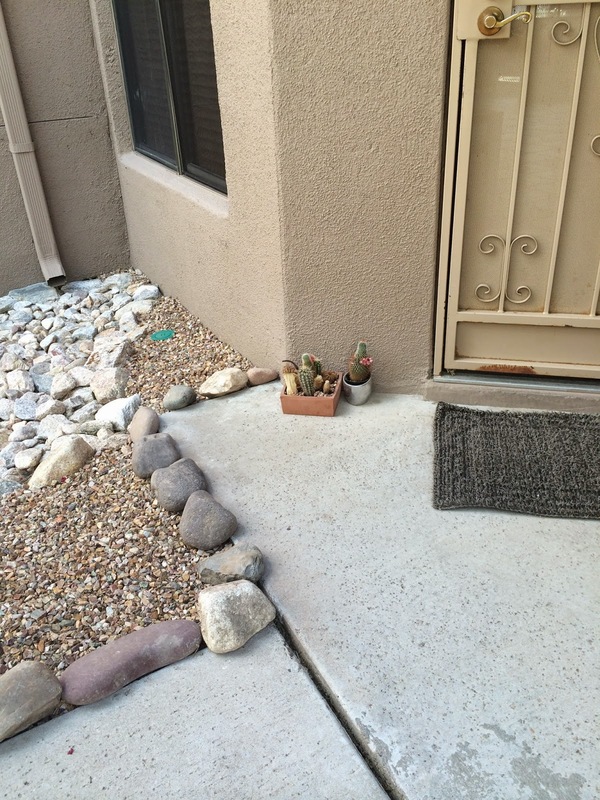 One of the features of our lovely porch is this very weird rock configuration. It is my hope that we can find someone to remove the very large rocks and extend the floor of the porch to the outside wall. At first I thought that someone had a rock garden or something there but apparently when the building was built in the 80's it was a "feature". Some feature! I was a little afraid that there would be scorpions under there but I found nothing alive! Just some old buried toys! 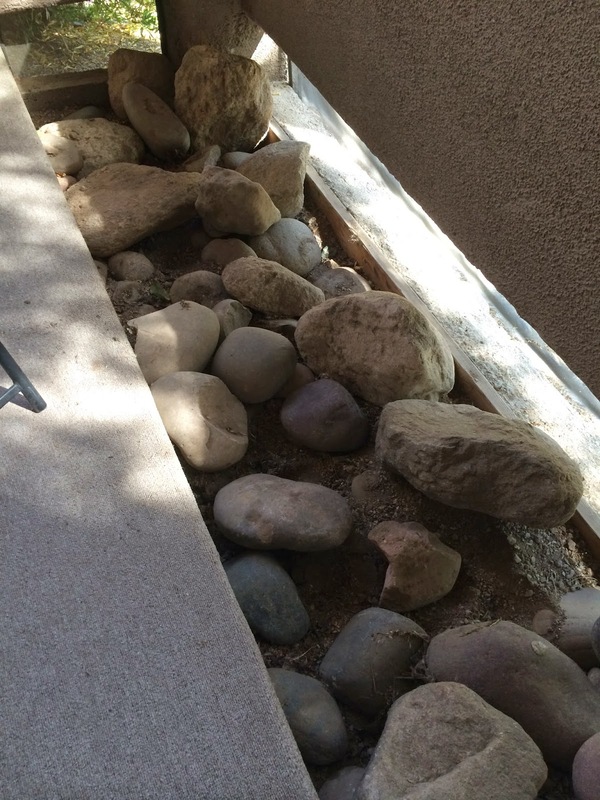 Today I decided I could at least remove the smaller rocks and so I built a little border around the front walkway. I think it looks nice although my cactus plants are a bit small. They really need a small table or another pot upside down or something. I will have a look tomorrow and see what I can find. Just trying to make it feel like home and give it some TLC. I really love my new home. I wouldn't mind moving to a warmer climate. I fear it would take from today to death to pack this place up. Terry is a pack rat and can't dispose of anything. I'm waiting for him to have a weak moment then I'll plow into his "garage" which is 3 stalls of stuff and plan a "Pre-Estate" sale which is our inside joke. I love to landscape with rocks, but I'd fear the scorps too if I loved there...lol.